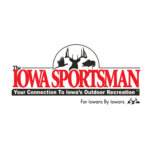 Went down to Coralville this weekend for the Bowfishing Association of Iowa “Fun Shoot”. I was lucky enough to get an invite from Kelson and Jim Inghram from Team Chootem to shoot on their boat. While the water clarity sucked and no one saw much for fish the rest of the day was great. These guys were great, willing to answer any questions, gave some great tips and great promotors of the sport. The BAI is lucky to have these guys as members and officers. Not only did they let me shoot with them during the day but after the tournament we turned around made a bit of a run to better water, and they setup an impromptu night shoot that kept some of us busy until about 4 am. The fishing was a lot better and we had a ball. I know I said it several times during the day but thanks again guys and I appreciate the oppourtunity to see how the big boys do it. Hope to do it again soon and good luck for the rest of the season.